‘S e aon de na comharran-stiùiridh as ainmeile ann am Machair Rois a th’ ann an Taigh-solais Rubha an Tairbeirt. Le a thùr àrd geal agus a dhà bhann dearg, agus a shuidheachadh fàbharach air ceann creagach an leth-eilein, tha e a’ cumail faire air Linne Mhoreibh agus Caolas Dhòrnaich. Tha e ri fhaicinn bho mhìltean a-muigh air a’ mhuir agus air feadh na h-oirthir, sealladh a thogas inntinn mharaichean, muinntir an àite is luchd-tadhail. Ach dè cho eòlach a tha sinn air an taigh-solais agus a eachdraidh? Cò thog e, agus cuin, agus carson? Gu ruige toiseach an 19mh linn, cha robh ann an taighean-solais – ma bha iad ann idir – ach tùir no càirn le teine air am mullach. Cha robh iad idir feumail ann an sìde fhliuch fhiadhaich, nuair a bha am feum orra a bu mhotha. Chaidh àireamh ana-mhòr de luing fodha gach bliadhna timcheall air oirthir Bhreatainn, gu h-àiridh ann an Alba, agus barrachd dragh aig na marsantan agus an luchd-seilbheachd mu am bathar chaillte na mun chriutha. Le leasachadh sgilean innleadaireachd aig deireadh an 18mh linn – smaoinich air Telford agus a shlighean-uisge is a dhrochaidean aige, chunnaic an luchd-seilbheachd cothrom an call malairteach sin a lughdachadh le taighean-solais na b’ fheàrr agus ann an barrachd àiteachan, agus beathannan a shàbhaladh aig an aon àm. Chaidh impidh a chur air an riaghaltas gun cuideachadh iad sin a chuir air dòigh agus a mhaoineachadh, agus rè ùine chaidh Bòrd Thaighean-solais a’ Chinn a Tuath a stèidheachadh. ‘S e aon de na rionnagan am measg luchd-togail taighean-solais tràth a bh’ ann an Robert Stevenson (1772 – 1850), a thòisich mar neach-cuideachaidh dhan oide aige, Thomas Smith, e fhèin innleadair-taigh-sholais ùr-ghnàthach den chiad ghinealach (thog esan solas Kinnaird Head ann an 1787), agus às dèidh sin mar a chom-pàirtiche. Fhuair Robert an cothrom na sgilean agus an leanailteachd iongantach aige a dhearbhadh anns a bhith a’ togail an taigh-solais drùidhteach air Creag a’ Chluig, sgeir làin-mhara chunnartach taobh a-muigh inbhir Linne Tatha (1805-1811) – euchd do-dheànta, a-rèir beachd na mhòrchuid aig an àm. Bha an dà chuid, an tùr agus an lampa casta fhèin, nam mìorbhailean den linn. Bho sin a-mach bha an-còmhnaidh fèill mhòr air, agus thog e mu fhichead taigh-solais timcheall air Alba airson a’ Bhùird, bho Linne Foirthe gu Sealltain, cuid mhòr dhiubh ann an suidheachaidhean cunnartach dùbhlanach. Agus nam measg bha Rubha an Tairbeirt. Thàinig an co-dhùnadh a thogail às dèidh caill de 16 luing ann an stoirm làidir ann an Linne Mhoireibh ann an 1826. Bha farpais ann eadar Covesea (Inbhir Lòsaidh) agus Rois an Ear airson togail taigh-sholais, ach choisinn Rubha an Tairbeirt. Bhathar an dùil gum biodh e riatanach do shoithichean a bhiodh a’ cleachdadh Sligh-uisge a’ Ghlinne Mhòir, a bha dìreach air a crìochnachadh le Thomas Telford. Thòisich an taigh-solais ag obrachadh ann an 1830, le lampa cumhachdach paireafain agus lionsaichean iomadh-fhillte – bha Robert na eòlaiche a-nis. Mhair seo gu 1907, nuair a thàinig lampa-dealain na bu làidire na àite. Cha deach an t-inneal-solais fhèin ath-nuadhachadh ach ann an 1892, le David Stevenson, ogha Robert, agus mhair seo gu fèin-obrachadh an taigh-sholais ann an 1985. (Tha an solas sin ann an Taigh-tasgaidh na Mara ann an Greenwich a-nis, agus ‘s e sealladh drùidhteach a th’ ann, ri fhaicinn air YouTube: https://www.youtube.com/watch?v=K6AZ0wnjwms ) Thog na h-innleadairean Bhictorianach obraichean a mhaireadh gu bràth, agus bha na taighean-solais Albannach nam buill-sampaill do chàch air feadh an t-saoghail. 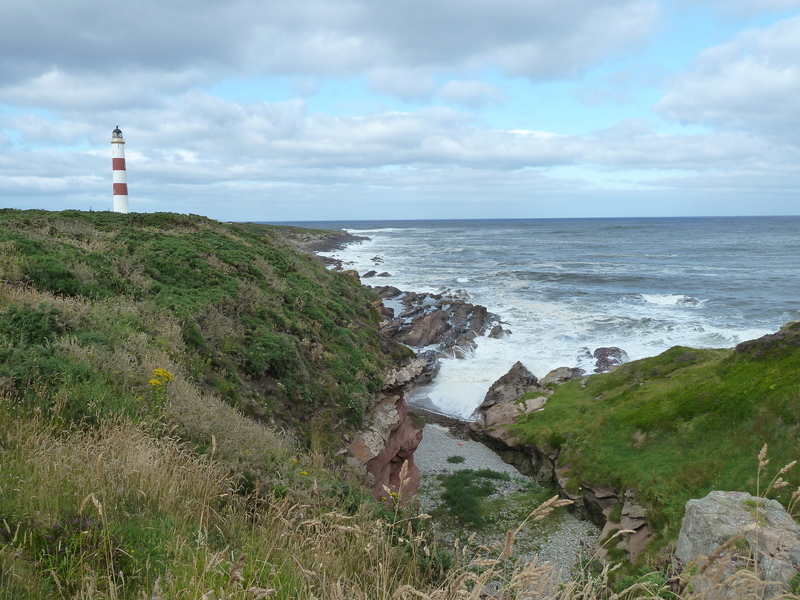 One of our most famous landmarks on the Seaboard is the lighthouse at Tarbat Ness, with its tall white tower with the two red bands, and its advantageous position at the craggy head of the Fearn Penisula, watching over the Moray and the Dornoch Firths. 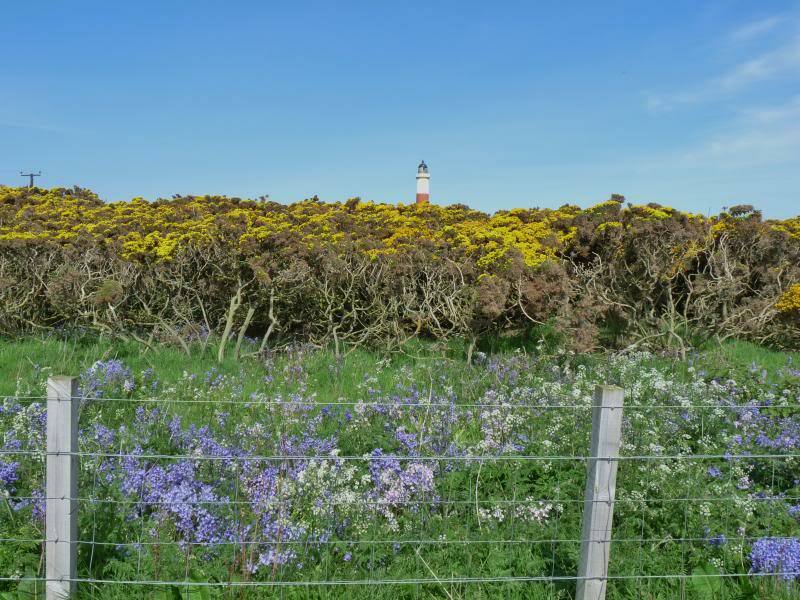 It’s visible for many miles out to sea and along the coast, a cheering sight to mariners, locals and visitors alike. 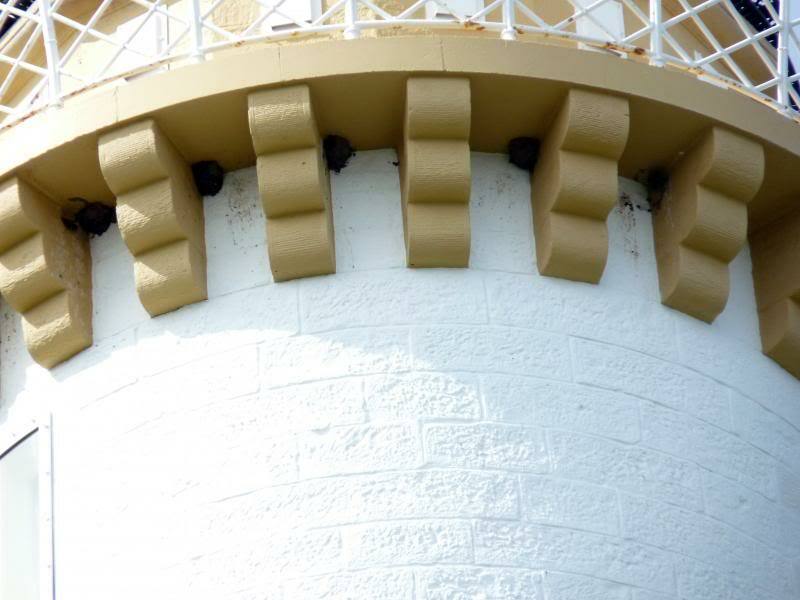 But what do we know about the lighthouse and its history? Who built it, and when, and why? Up until the early 19th century, lighthouses, where there were any at all, were simply towers or cairns with a fire on top. They were at their least useful in stormy wet weather, just when ships needed them. Huge numbers of ships and their crews were lost each year round the British coast, especially in Scotland, the merchants and investors more distressed about the loss of goods and ships than about the men. As engineering skills evolved in the late 18th century – think of Telford and his canals and bridges, investors saw a chance to cut their losses with more and better lighthouses, and save lives into the bargain. Pressure was put on the government to help organise and fund this, and in due course the Northern Lighthouse Board was founded. 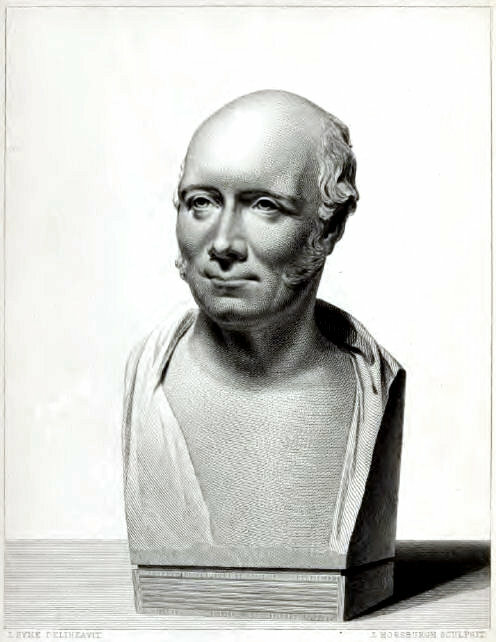 One of the rising stars among early lighthouse builders was Robert Stevenson (1772 – 1850), first assistant then partner to his engineer step-father, Thomas Smith, himself an innovative lighthouse builder of the first generation (he build Kinnaird Head light in 1787). 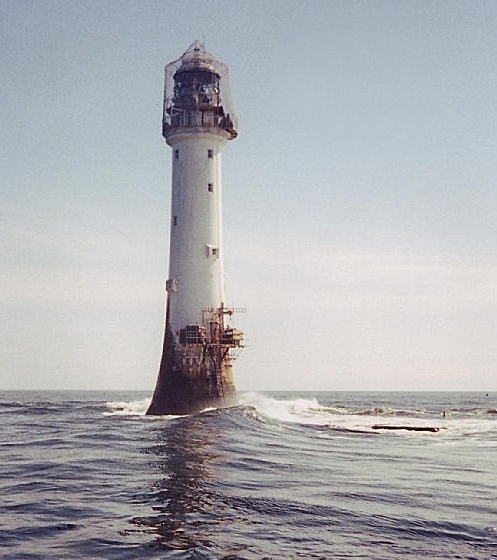 Robert got the chance to prove his extraordinary skill and tenacity by building the amazing Bell Rock lighthouse on a dangerous tidal reef outside the Tay estuary (1805-1811) – a feat previously considered impossible. Both the structure and the complex lamp itself were marvels of the age. After that he was always in demand, and built around 20 lighthouses for the Board around Scotland’s coast, from the Forth to Shetland, many in dangerous and daring locations. 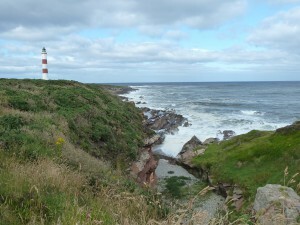 And one of them was Tarbat Ness. 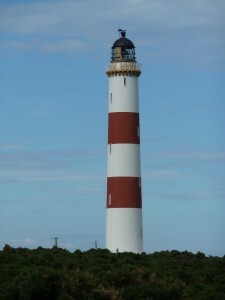 The trigger for its construction was the loss of 16 vessels in a storm in the Moray Firth in 1826. 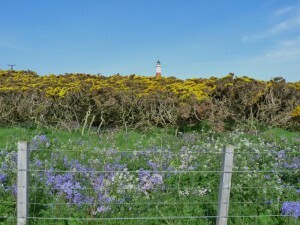 There was competition between Covesea (Lossiemouth) and Tarbat Ness for a lighthouse. Tarbat Ness won, as it was considered essential for traffic from Telford’s Caledonian Canal, newly finished at the time. 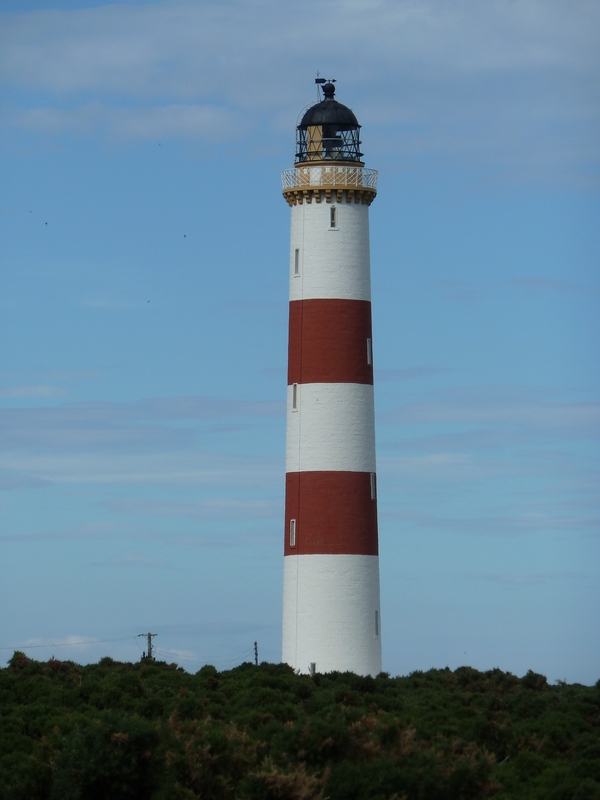 Tarbat Ness entered service in 1830, with a powerful paraffin lamp and complex lenses – Robert was an expert by then. This was only changed in 1907 to an incandescent pressurised lamp, and the lightroom machine was updated in 1892 by Robert’s grandson, David, lasting till the automation of the lighthouse in 1985. (The optic is now in the National Maritime Museum in Greenwich, and is a wonderful sight – see it on YouTube: https://www.youtube.com/watch?v=K6AZ0wnjwms ) Victorian engineers built to last, and Scottish lighthouses served as models around the world.